Fans are mourning a giant sequoia in California that's famous for a "drive-thru" hole carved into its trunk. A massive storm toppled the mighty tree. The tree shattered when it went down Jan. 8, Calaveras Big Trees State Park volunteer Jim Allday said. A tunnel was carved into the tree's trunk in the 1880s to allow tourists to pass through, though it weakened the giant. The tunnel had allowed cars to pass, but only pedestrians could cross in recent decades. Generations of locals and tourists have visited the tree, posing for photos and carving their names into it. After it fell, many took to social media, posting their memories of the tree. "It's kind of like someone in the family has died," said Joyce Brown, a 65-year-old retired middle school teacher who has been visiting the tree since she was 12 and owns a cabin in nearby Arnold. "Everyone who went there was shocked at how big a tree could be," she said. "As a child you think you had come to a land of giants, that there must be giant people and giant animals living there because of the diameter of these trees." Sumner Crawford remembers every detail of his first visit to the tree as a kid in the 1990s. He was stunned by the sequoia's size - when his family of four tried to join hands around the tree they discovered they couldn't even come close. "It was so different and so odd," said Crawford, who grew up on a farm in Virginia and now lives in Charleston, South Carolina. He recently visited the tree again, reliving those memories. "I was blown away," Ripper said. "I've traveled to 70 countries. But that particular tree and being able to walk underneath it and touch it was quite a memorable moment and something I won't soon forget." Ripper said he can't believe such a massive and sturdy-looking tree was felled by a storm. How could a car fit through a tree? A car could fit through a tree because the Sequoia was massive in diameter and really tall. I wouldn't try to my car through it because i wouldn't want it to fall on my car. In the article it says the tree's trunk was massive. Sumner Crawford and his family of four tried to join hands around it and they were not even close to doing it. Although I've never been to the tree I've seen pictures of it and I think it's very devastating that it fell down. If the tree has a wide enough hole going through it you can drive through that hole and it's a one in a life time chance and it's sad that so many kids will never know of that tree and never get to experience riding through a tree, also my Aunt recently moved to California. 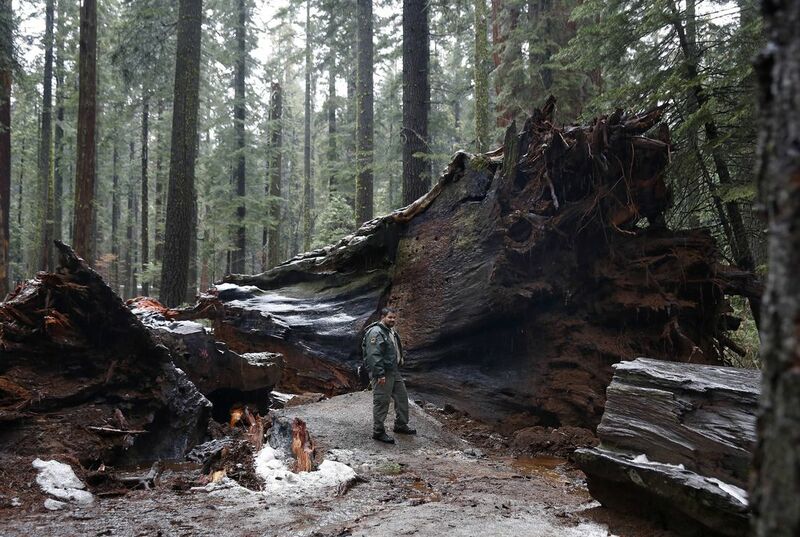 In response to "'Drive-thru' sequoia brought down by storm," I agree that many people will be sad about the fallen tree. One reason I agree is that the tree allowed many people to drive through the area with its gaping hole. Now only pedestrians can cross the area. Another reason is that many people had good memories of the tree. The fall of the tree made a lot of people sad because of their good memories with the tree. It says in the article, "'I feel like it's part of my personal history. So it's a bummer to see it go,' he said." A third reason is that people visited the tree to go see how amazing it was, but now they can never see in person how the tree looked when it was still standing up. Even though there are many other popular trees in the world, I think that people will still be sad about this loss. I agree that there are lots of people sad about the tree. 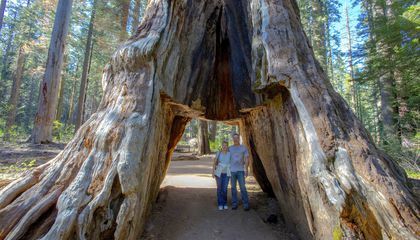 In response to " 'Drive-thru' sequoia brought down by storm," I definitely agree that it was a great memory lost.because I have visited the sequoia before and I am sad that it had fell. One reason I agree is because I have visited the sequoia before and I am sad that it had fell. Another reason is that the tree had been there for such a long time, and people carved their names onto it, which had felt like losing a family member. It says in the article,"'Because I have visited the sequoia before and I am sad that it had fell'". Even though I wasn't really able to experience the feeling of losing this old sequoia tree, I think it was a great loss to the people who grew up around it. I agree that there were lots of great memories lost. This article is about a giant sequoia tree in California that is famous for having a "drive-thru" in its trunk. But on January 8, 2017 the tree toppled in a massive storm. Many people posted to social media their memories of the tree. "It's kind of like someone in the family has died," said Joyce Brown, a 65-year-old retired middle school teacher who has been visiting the tree since she was 12 and owns a cabin in nearby Arnold. Another memory of the tree id from John Ripper, a 55-year-old printer in Northville, Michigan, said he and his wife visited the tree in May 2015. "I was blown away," Ripper said. "I've traveled to 70 countries. But that particular tree and being able to walk underneath it and touch it was quite a memorable moment and something I won't soon forget." the tunnel is amazing to look at and be underneath it. In response to this article, I agree that it is crazy to be able to walk through a tree and that it fell over and got destroyed. One reason I agree is that I have been to that tree and agreeing with the article I will never forget it. Another reason is that like in the article a lot of families feel like it was a part of them. A third reason is that there are many people that will never get to see that tree. Even though there are many trees like it, I think this tree was very special to a lot of people.